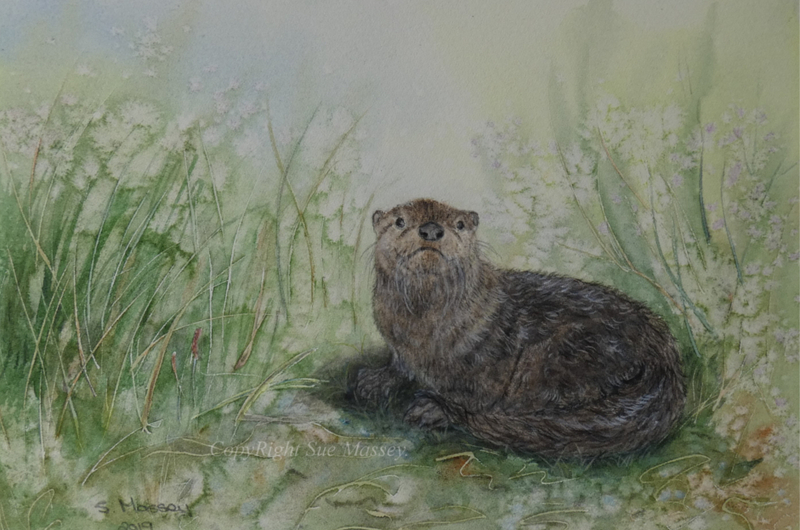 ORIGINAL YOUNG OTTER WATERCOLOUR PAINTING. SIZE 26 X 18 CM (10 X 7 inches) INCLUDES A SMALL WHITE BORDER ACTUAL PAINTING SIZE APPROX 23.5 X 16 CM. PAINTED ON QUALITY SMOOTH HOT PRESSED 140 LB WATERCOLOUR PAPER, PAINTS. ANY QUESTIONS PLEASE DON'T HESITATE CONTACTING ME. IT DOES NOT COME FRAMED OR MOUNTED.